With their massive terraces decreasing in size as the building rises, ziggurats can easily be called manmade mountains. They are identifiable structures most often associated with ancient Mesopotamian religion. In ancient times, each of the major city states in Mesopotamia had their own ziggurat, however many have been destroyed over the ages. Two famous examples of surviving ziggurats include the Great Ziggurat of Ur in Iraq, and Chogha Zanbil in Iran. 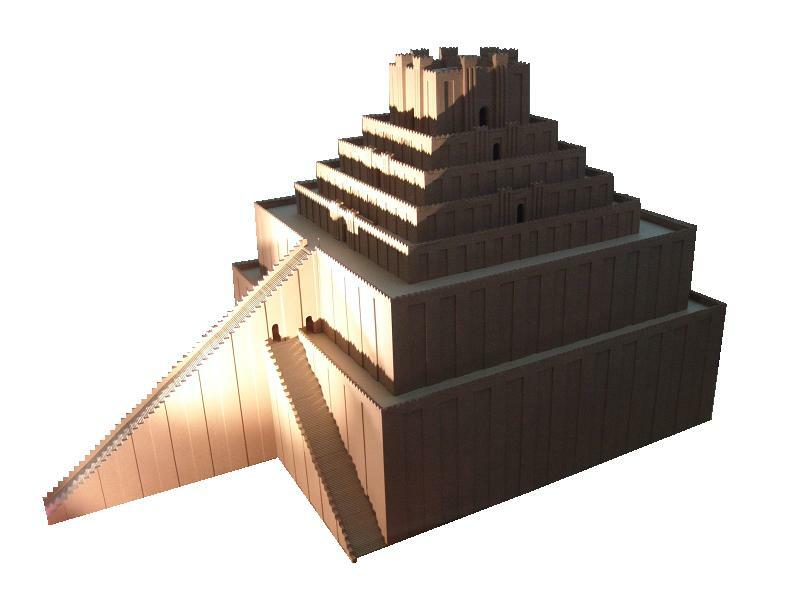 The word ‘ziggurat’ is derived from the Akkadian ‘ziqqurratu’, which has been variously translated to mean ‘mountain peak’, ‘rising building’, and ‘to build on a raised area’. This name is appropriate, considering that some ziggurats were towering structures . It is interesting to consider that the biblical Tower of Babel , which was meant to allow humans to climb to the heavens, is believed to have actually been a ziggurat. The inspiration for the building in biblical tales is said to have been a Babylonian ziggurat known as Etemenanki (meaning ‘House of the foundation of heaven on earth’). This structure is recorded to have soared to a height of 92 m (302 m). Unfortunately, Etemenanki was demolished in antiquity. Generally speaking, the core of a ziggurat was constructed with mud bricks with an external layer of baked bricks for protection. This means that ziggurats were solid, not hollow, structures. For the ancient Mesopotamians, mud was considered to be the purest of substances, hence its use for the building of ziggurats. The base of a ziggurat was either square or rectangular in shape. A number of terraces were added on top of this base. As each level was added, the area of the platform decreased, and the sides sloped upwards. On the top of the ziggurat there was a temple dedicated to one of the many Mesopotamian deities. The construction of such monumental structures required a large amount of manpower and organization. Therefore, ziggurats were always commissioned by rulers of important Mesopotamian city states. During the 3rd millennium BC, there was political tension between the temple, represented by priests, and the palace, represented by kings. Through the construction of ziggurats, kings were demonstrating that their power extended to the religious sphere as well. The building of ziggurats by secular rulers continued later on as well. During the Neo-Babylonian Empire, for instance, Nebuchadnezzar II , who reigned between the 7th and 6th centuries BC, had the Etemenanki rebuilt. Over the millennia, many of Mesopotamia’s ziggurats have been demolished. The Etemenanki, for example, was in ruins when Alexander the Great entered Babylon. Before leaving the city for the East, he issued instructions to have the ziggurat rebuilt. When he returned, however, he observed that no progress had been made, and had the structure demolished so that a new ziggurat could be built in its place. His untimely death in 323 BC meant that his plans were never realized. Nevertheless, a number of ziggurats have survived till today. In the Iranian province of Khuzestan, for instance, there is the Choga Zanbil, which is generally regarded to be one of the best preserved ziggurats in existent. This ziggurat was a massive structure that contained not only temples, but also several palaces. Another well preserved ziggurat is the Great Ziggurat of Ur in Iraq. The significance of this ancient ziggurat may be seen even in modern times. In 1985, Saddam Hussein had the ziggurat rebuilt, and the bricks used for this project had his name stamped on them, in imitation of Nebuchadnezzar.